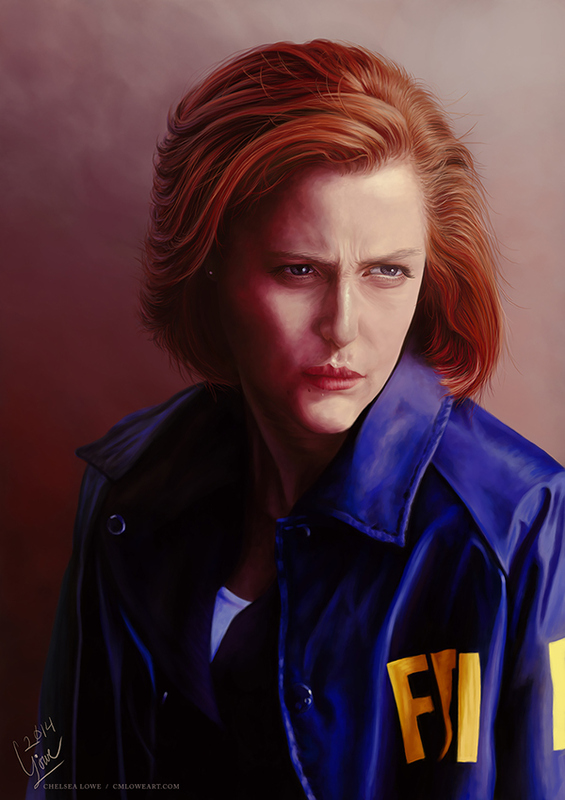 Scully is a self-initiated digital painting that I wanted to do because of my love for portrait painting and my love for The X Files. It also became an experiment on how photorealistic I could go with a digitally-created painting. It was painted in Photoshop on a Wacom Cintiq. The reference image is a promotional still for the first X Files film, The X Files: Fight the Future by 20th Century Fox. 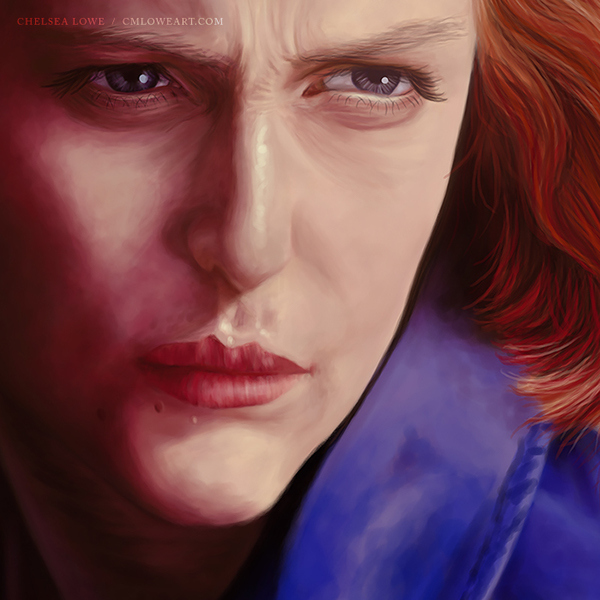 Scully is a self-initiated digital painting that I wanted to do because of my love for portrait painting and my love for The X Files.